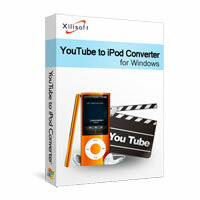 You need not wait or change programs just to download and then convert, with Xilisoft YouTube to iPod converter, download and convert is done in one step. 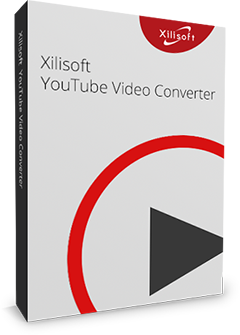 The converter not only supports original YouTube FLV files, but also HD formats. Queue as many tasks and let the software do the downloading and converting with just one click. Just drag the YouTube URL to the main window of the program to start downloading. With Xilisoft YouTube to iPod Converter installed, the download function is immediately found on IE browser's right-click menu. Convert videos from YouTube anonymously through proxy server. Browse and download videos with the built-in YouTube browser. The built-in browser even lists videos by categories, popularity, or interestingness for easier browsing. You could set the after-action (shut down, hibernate, standby and exit program) before starting so you could leave the computer and do its job. Choose the file properties to be displayed as columns in the file list; view tasks in table or icon list and sort tasks by title, file size, output format, status and so on; view the information of downloaded files; choose interface language and skin.